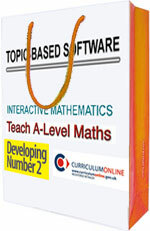 Maths Content Software correlated with UK curricula. 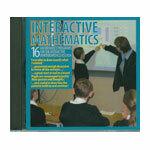 Teach GCSE Maths and Teach A-Level Maths - Exemplary Powerpoint presentations. 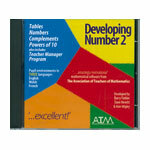 Developing Number 2 Interactive Mathematics - 16 Interactive Whiteboard programs. Active Geometry. 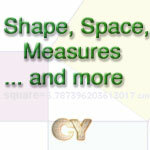 Shape, Space, Measures and More - Over 350 Cabri II Plus and Cabri 3D activities. 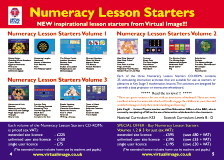 A collection of problem solving ideas aimed at Upper Primary and Lower Secondary. CD and Book developed to pose interesting and challenging problems Benefit from use throughout a single geographical site of your institution.